You’ve been preparing for this application for years. Good or bad recommendations can make or break an application. You’ve spent hours writing and rewriting essays, counting up volunteer hours and combing through your transcripts, ensuring the rest of your application is solid and powerful. But how do you go about keeping your letters up to par? Depending on what you are applying for, there will be variability in what you will need out of letters, but there are some key steps you can do no matter where you are or what you are applying for to ensure that your letters are of the highest quality possible. Begin your planning for your recommendations early once you know you’ll need them. Why start so early? How can you know what you’ll need in the future? It comes down to two key points: 1) putting your BEST foot forward when it matters most and 2) helping you paint a well-rounded picture of yourself. As a student, chances are you are just one of many vying for the attention of your professors. Trying to distinguish yourself from the crowd can be a challenging, energy-draining task. While you need to perform well overall, you don’t need to be the best person to all professors all the time. Selecting potential faculty to write your letter early can help you direct your energy towards looking like the most stellar candidate to those writers, rather than burning yourself out trying to look amazing for every single individual. What about rounding out your application? Let’s suppose you have 3 faculty selected to write your letters: all of them taught you in lecture and worked with you in a coursework lab and will write you amazing letters. What about your volunteer work? What about your leadership of a student group? None of that comes across in your letters. By planning early, you can strategically pick faculty to help your paint an accurate picture of your entire person, not just your academic self or research self or clinical self. Know what you are applying for, what your overall application will look like, and pick letter writers who can help support all aspects of that application. 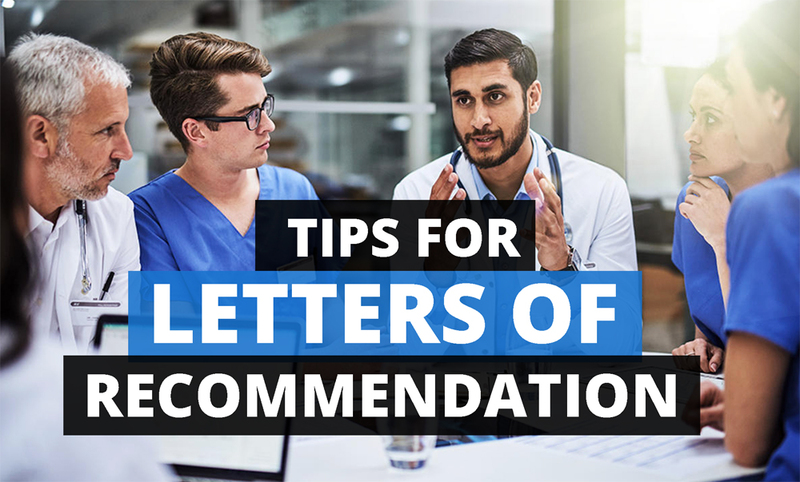 Keep in mind, different schools and programs have different requests and requirements for letters, so make sure you are meeting those requirements at a minimum while picking your potential recommenders. Let’s face it: Some people are good writers and some people are not. As much as we like to believe this goes away as we progress through our careers, the unfortunate reality is it does not. Some faculty are excellent and diligent letter writers, while others either don’t have the time, patience, or skill to write a great letter of recommendation. Along with this comes another question: how important is name recognition in a letter of recommendation? Can you sacrifice a well written letter if the name on the letterhead is a leader in the field? Again, it’s important to find a balance. Ask other current or older students and other trusted faculty advisors who you are thinking about writing a letter. If you put a name out there, usually you can tell by a reaction whether that is considered a good choice or not. If you have a good connection to a well-known faculty member, consider asking them for a letter even if it might be more generic, especially if you can balance that with another letter that is much more personal from a faculty member that may not be as well-known in the field, but knows how awesome you are and can really help you shine through in their writing. If you know students who ended up at a program you are shooting for, ask them who wrote their letters and if they would have picked anyone else in retrospect. Depending on your relationship with that person, their stature in the department, and the type of letter you are requesting, the time frame will change. Always err on the side of too much time. The last thing you want is to request a letter and be turned down due to lack of time to write it. Remind your letter writers about the letter. 2 months before due date: send an email update with an updated CV (as a gentle reminder with more purpose — the updated CV — than just being a pest). 1 month before due date: send a follow up email with a reminder that the deadline is 1 month (bold the date). Ask if there is anything you can do to help with the process. Verify they are actually still able to write the letter and are started or planning on starting it. 2 weeks before due date: Same follow up as before, bold the deadline, ask if there is anything else you can do. 1 week before due date: Follow up again, bold deadline, ask if you can help. 3 days/2 days/1 day before due date: Final reminder that it is due. Does this feel like I’m pestering? To an extent, it does. But consider the alternative: You request, you don’t follow up, your writer forgets/notes the wrong deadline/has a schedule change and can’t complete it, the deadline comes and goes, you don’t have a complete application, you feel bad, your letter writer feels bad, and no one wins. It’s better to be a pester more than you think necessary and be told to stop, than avoid contact to avoid feeling like a pest and miss deadlines. 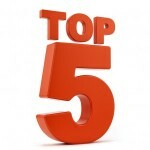 When meeting to request a letter, consider a few things: 1) what is the letter for, 2) what do you want the faculty member to say about you, 3) what information can you provide them to help them make that argument to the reader. It is important to tell faculty what the letter is for (medical school application, residency application, research fellowship, scholarship, etc.) because that can change the tone and target audience to whom they target the letter. If you have a balanced cohort of letter writers, tell each writer what aspect of your application you are hoping they can emphasize (academic prowess, research diligence, clinical skillset). Make sure they feel comfortable recommending you for those skills based on their interaction with you. (IE. don’t ask your research mentor to recommend you for your clinical abilities.) Provide them with a copy of the application instructions, your application essays, CV or resume, and even consider giving them a letter format that would meet all the requirements you’re looking for. The goal here is simple: make this process as easy as possible for your recommender. Once the application process is done, thank your recommenders for helping write your letter. In person is best, but a kind email or card is also fine. If they went out of their way to accommodate you (like last minute requests or multiple different letters for different applications), it’s fine to give them a small gift (candy, coffee giftcard, or liquor/wine are reasonable gifts). Faculty often keep track of students they have mentored and recommended (for tenure applications, educational grants, etc.) so it’s always welcomed to keep them updated on your success. Just a quick email reminding them they wrote a letter and that you were accepted is all it takes. Don’t let letters of recommendation drag your application down. Start early, plan for a well-rounded approach to your letters, and follow through throughout the entire process. And if you have any questions, just ask! Most faculty are happy to give insight and help to students if you are willing to take the initiative to ask for help. And one day you may be able to repay the favor a student who needs a letter of recommendation from you. Where are you in your journey to become a doctor? Have you already passed the USMLE Step 2 CK or USMLE Step 2 CS? 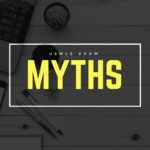 Compare the best USMLE Step 3 prep courses here.